Melbourne's newest street art precinct was unveiled in December 2017, featuring six of Australia's leading artists. An old power station at Spencer and Little Bourke streets now features large-scale works curated by collective Juddy Roller. The artists - Smug, Dvate, Adnate, Sofles, Fintan Magee and Rone. 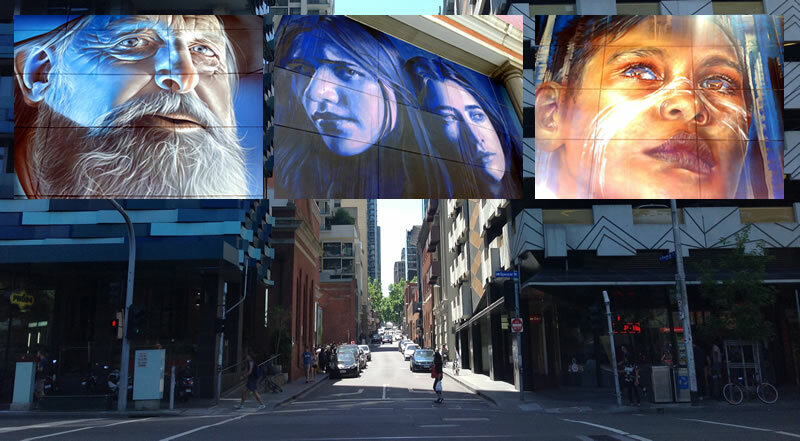 Six of Melbourne's celebrated artists have worked their magic on the walls of the power station at the corner of Little Bourke and Spencer streets. The project curator Juddy Roller behind iconic installations including Silo Art Trail and the well-loved Fitzroy Faces mural in partnership with the developers of the CBD's Upper West Side, Far East Consortium, and Powercor. The art is viewable 24/7.